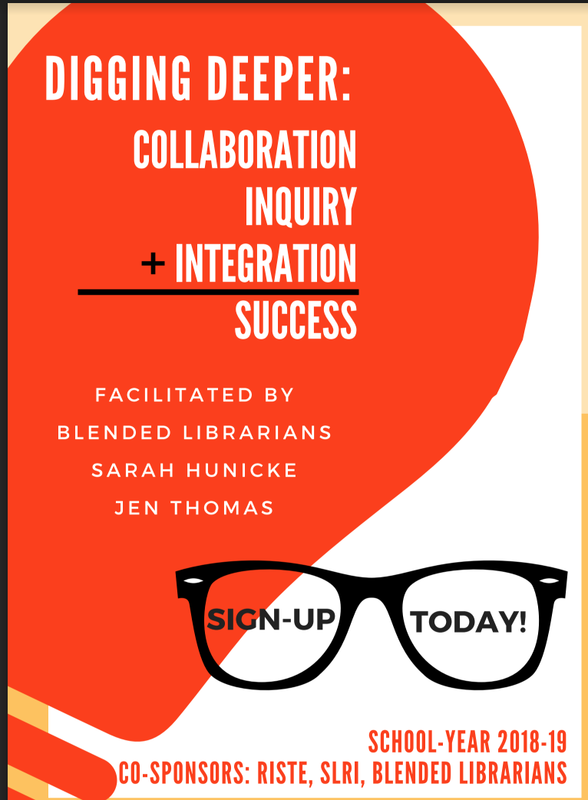 This six-session series will allow teams of two or more educators (made up of at least one librarian and one teacher) the training and time to work collaboratively to create an inquiry-based unit of study, supported by technology-rich learning opportunities. 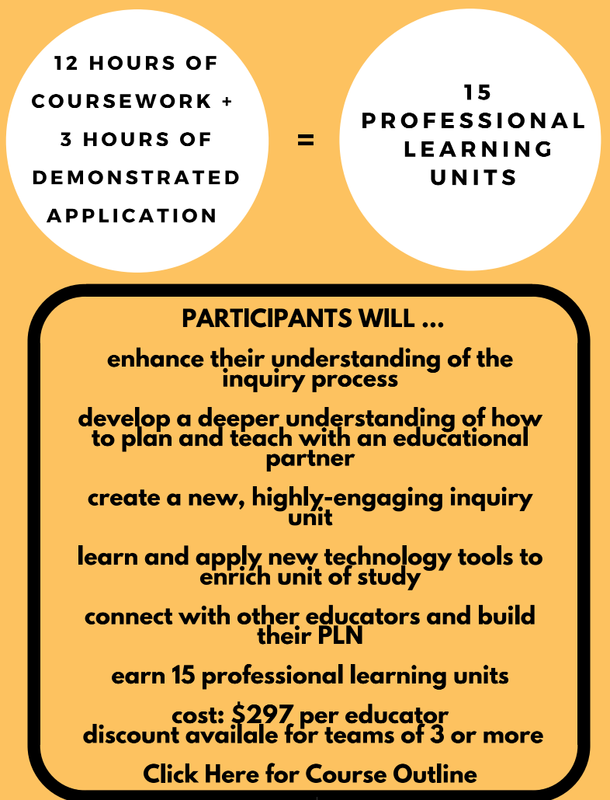 Sessions will be facilitated in both face to face and virtual settings, and include ample hands-on learning opportunities for teams to build their unit project. 15 PLUs 12 coursework and 3 demonstration. Course outline, dates of sessions, cost, etc.. Course discount for teams of 3 or more.